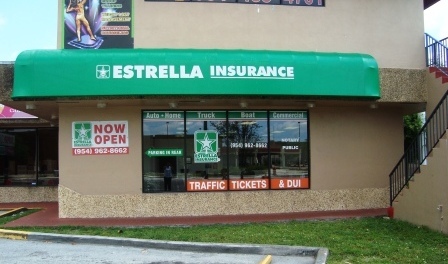 Welcome to Estrella Insurance located on Hollywood Blvd in Broward (1 block away from SR7). I have been in the insurance industry for about 25 years. I have been part of the Estrella Insurance family since 1994. I genuinely enjoy being a part of this business. It gives me great satisfaction to work with clients and be social. Please come, and meet my wonderful staff at 5845 Hollywood Blvd. Ste. C, Hollywood, Fl, 33021. We are right next to Mcdonalds and Carvel (what more can you ask for).